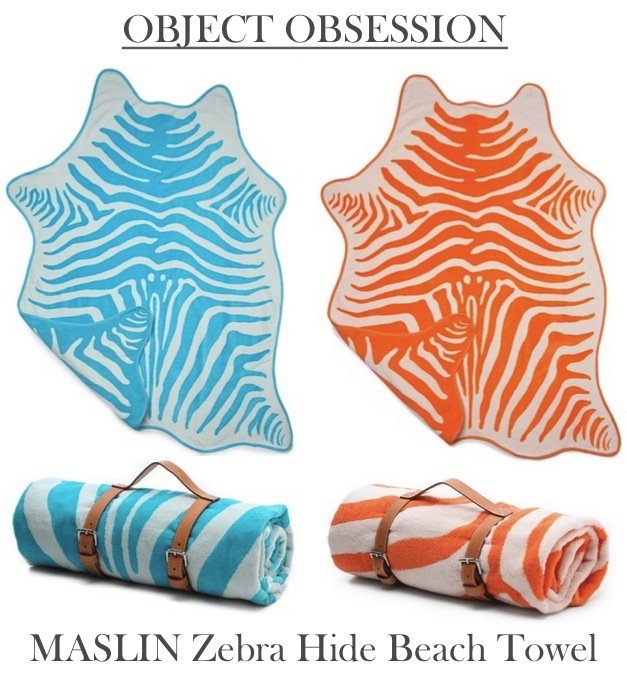 While online window shopping last night I stumbled across these cheeky zebra beach towels, and instantly put them on my wish list. The colorful zebra print is cut into the shape of a zebra hide which means they are large enough for 2 and perfect for an impromptu picnic at the park. What makes them even better is the leather carrying straps when you roll them up! Although both colors are fab, I think I may be leaning toward the tangerine. What do you think, teal or tangerine zebra for the winner? This is adorable for a vaca ! These towels are super adorable and what a great idea with the belts!!! No way!! the most chic towels ever. Lovely. Sooo fabulous! The leather carrying straps are genius.